Here at Adams Residential Inspections, we go above and beyond your typical home inspection. We schedule only one inspection per day so we are entirely devoted to you on the day of your inspection. Our inspection reports are user-friendly and electronic, allowing you to review your inspection as soon as it is uploaded from anywhere at anytime as long as you have an internet or mobile connection. We also include a free 360° Home Tour for you to show off the home you are buying or selling to your friends and family. For any questions regarding your home inspection, call/text 828.582.5633 or email chris@adamsresinspections.com. Chris Adams is the owner and single operator of Adams Residential Inspections. 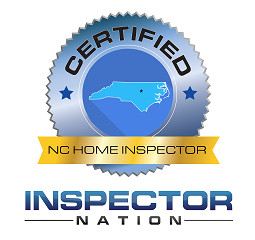 Licensed by the North Carolina Home Inspection Licensure Board (License # 4115), Chris obtained his training and home inspector certifications through Inspector Nation based out of Burlington, NC. He is an allied member with LOTSAR, a well-established real estate association in Buncombe County and surrounding areas. He is a Sentrilock Card holder which allows ease of access to listed homes, and is also a member of Internachi, a home inspection association which provides continuing education and a vast library of inspection-related documents and resources. When Chris is not inspecting homes, he enjoys hiking with his two dogs and fiancé. He is also an avid golfer who most enjoys playing with his grandfather and father. Any additional spare time, he really enjoys traveling with friends and family.